Are you an active social media user wanting to build build social channels worth following? Buffer is a free automation app allowing you to schedule posts for Facebook, Twitter and LinkedIn at specific times on certain days. It also suggests content for you to share, which is pretty cool. You may choose to sign up for the software with a username/password OR you may sign in using your desired social network. It saves you having to remember username/password. You can have multiple free Buffer accounts all aimed at the same business you’re running. In my FireFox browser, a Buffer button has been added too. When I hover the mouse cursor over images, a button appears, giving me the option to schedule that particular image in my Twitter feed. The free Buffer plan lets you add 10 posts at a time to each of the three profiles. You might not know, but Tweetdeck lets you schedule Tweets too, so it could be worth pooling the different features of some of these free tools. To set up the Buffer schedule to post content on certain days at particular times, queue up the content you like by clicking Add to Queue. I use only the free version with Twitter. This has its limitations but if you upgrade you can lift those restrictions. 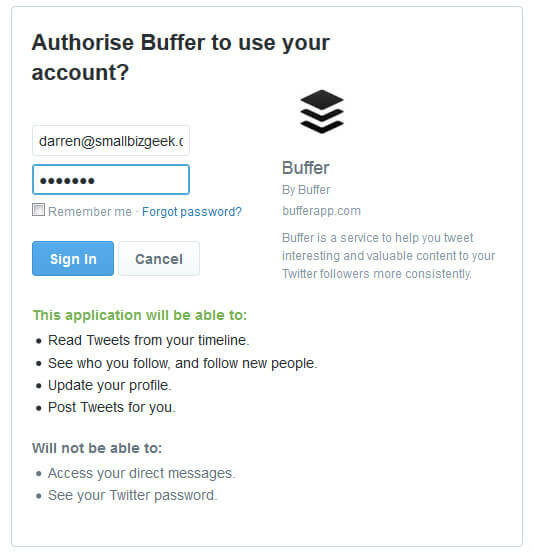 If you want to pay for Buffer, you can do that to lift the restrictions and unlock more features. That’s up to you. Buffer have an FAQ and a page about upgrading. 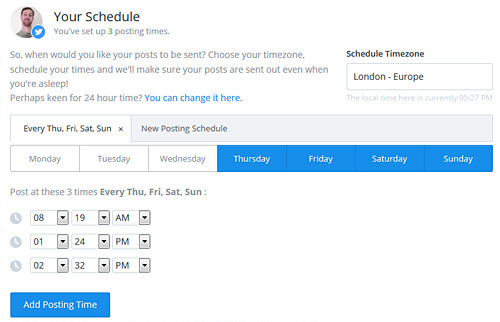 Understand the best times to post your preferred social networks. Schedule the tool to post at these times. 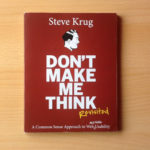 The way you use the tool is in principle the same for the social networks it supports. 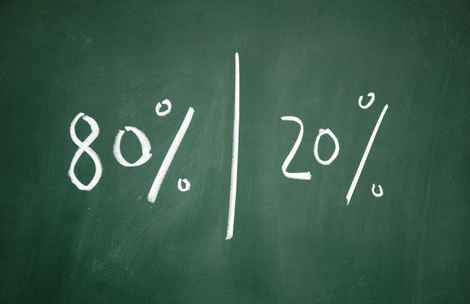 It’s important to understand the 80/20 rule that says you should consider sharing 20% of your own content in addition to useful, informative, interesting, problem solving, compelling content created by others. Only sharing your own stuff is spamming. Share 80% other good content on social media. Curating other stuff you like and agree with is telling your followers who you are and what you are about. This builds a good following and people are more likely to check out your own content when you post it. Others will gladly read your stuff when you’ve conditioned them to expect quality because of other good content you’ve surfaced for them. Before you Buffer any content on Twitter, see if you can find out if the author of that piece is a Twitter user. If I’m on their website, I’ll have a quick look for a Twitter follow button. I’ll then be able to get their @username and copy it to a notepad. You should insert their username into the Tweet so they get a notification from you. If their content is that good, you will probably want to talk to them again. Also, you’re likely to make a friend and gain a new follower if author of the content gets a “ping” through Twitter from you. The user gets a notification that someone “mentioned” them in a tweet. They’ll see you wrote about them and *might* Retweet. They *might* check out your Twitter account and if they like you, Follow you. They *might* start tweeting your stuff. It doesn’t always go down like that. Sometimes the user doesn’t log in, or they take no notice at all! That’s not to say they’ll never reciprocate. Besides adding reputation to your own social presence, you’re slowly building goodwill by getting on the radar of content creators. It could even lead to collaboration. 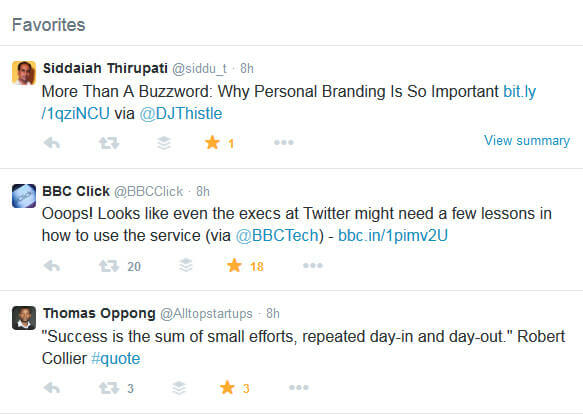 Because Twitter moves so fast, you need to keep regularly adding useful content. Do not think as Twitter as a vessel to be filled – more a fire to be kindled. Because the average lifespan of a Tweet is about 18 minutes, your shares will be buried in the feed pretty quick. 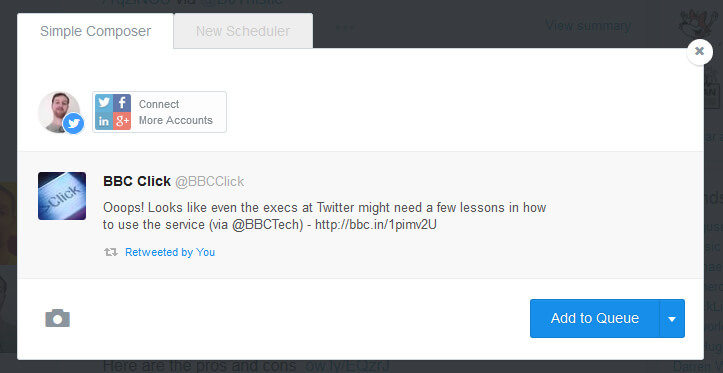 Once all the content in your Buffer has been Tweeted, they’ll automatically email you to remind you to top up more. It is a good idea to use the Twitter search engine to look for Tweets containing keywords you’re interesting in Tweeting about. For example, type “technology” into Twitter and you’ll see tweets containing that keyword. You’ll get the most current results containing the word you searched. Read some of the links in the Tweets shown and if the content is worth sharing, favourite it. This is your pre Buffer buffer! My favourites are being added to all the time on the subject of design, marketing and technology. Once you’re ready to fill up Buffer with more great content, just add it to the queue. When Not To Use Buffer? Buffer can post to Facebook and LinkedIn too, but there seems little point in using up the quota of tweets I can schedule. I’d rather save Buffer for Twitter. Facebook already has a built in scheduling tool, so there seems little point in filling up the social share quota bundled with the free Buffer. LinkedIn is not something I use all that much, but if that’s where your audience is, you could use HootSuite to set up LinkedIn scheduling. FutureTweets – let’s you schedule unlimited Tweets. Each Tweet MUST be unique otherwise it will not post to Twitter. HootSuite – You can schedule with this but watch out for the http://ow.ly/ short link which is a dead giveaway of automation. Tweetdeck – you can use this for both Facebook and Twitter.